This triple room has a balcony, flat-screen TV and mountain view. 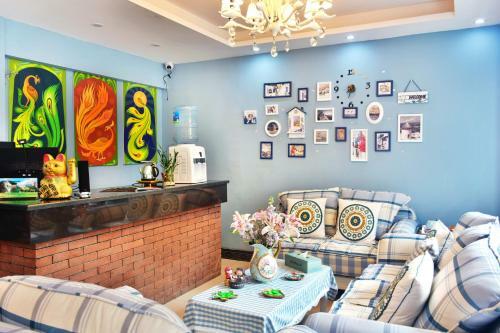 Situated in Fenghuang, Fenghuang Xingfuyuansu Riverview Hostel provides accommodation with free WiFi and a terrace. All units at the homestay feature air conditioning and a cable flat-screen TV. A balcony with mountain views is offered in all units. 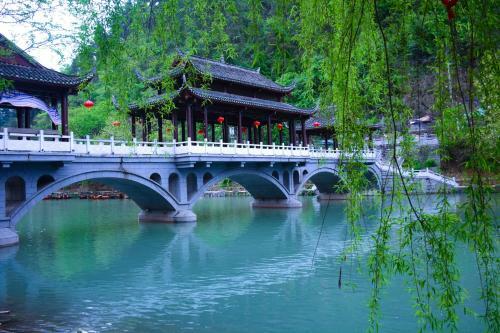 The nearest airport is Tongren Fenghuang Airport, 31 km from Fenghuang Xingfuyuan Riverview Host. Please inform Fenghuang Xingfuyuansu Riverview Hostel in advance of your expected arrival time. You can use the Special Requests box when booking, or contact the property directly with the contact details provided in your confirmation. Payment before arrival via bank transfer is required. The property will contact you after you book to provide instructions. l'hotel n'est absolument pas à l'endroit indiqué sur le plan de booking.